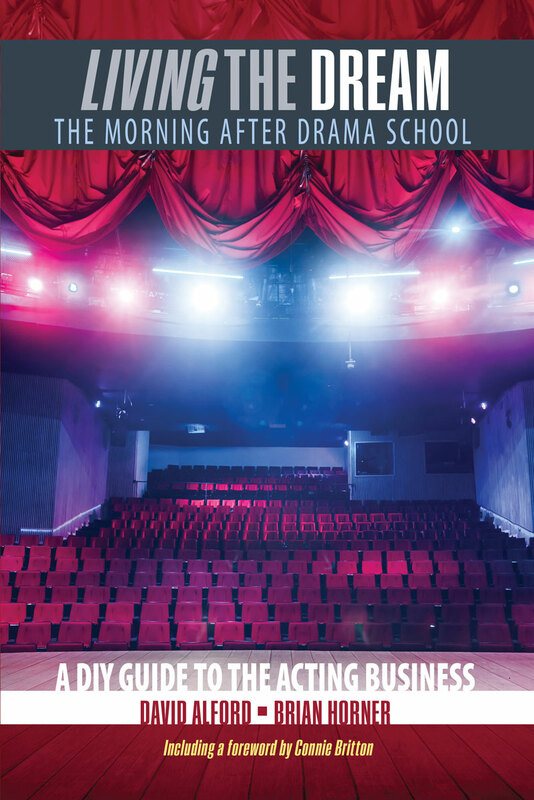 Based on parallels drawn between fundamental areas of theatre performance and their counterparts in the business world, Living The Dream…The Morning After Drama School – A DIY Guide to the Acting Business offers insights and tools to help current or former drama majors navigate life as highly capable actors trying to put together a living from a variety of income streams. It also exposes them to creative ways of considering their career options that may give them much more hope than they thought possible. In this way, a world that is foreign and overwhelming to many aspiring professional actors is brought easily and clearly into their comfort zone, equipping them for their quest to build a life doing what they love. David Alford and Brian Horner draw from the experience of their lengthy, multi-faceted careers – Alford as a stage, television, and film actor, teacher, and arts administrator, and Horner as a saxophonist, teacher, and artist manager – and share that experience with those just starting out. David Alford is an actor, writer, director, and occasional teacher. A native of Tennessee, he founded and served as Artistic Director for Mockingbird Theatre, a professional theatre company in Nashville. Subsequently he served as Executive Artistic Director and Artist-in-Residence at Tennessee Repertory Theatre (now Nashville Rep). He designed and implemented a Dramatic Arts Major for one of his alma maters, Martin Methodist College, in nearby Pulaski. He has co-written numerous screenplays, four of which were actually shot, and none of which are remotely easy to find. With his family, he helped found the nonprofit organization Community Spirit Incorporated, which produces his original local history plays SPIRIT and SMOKE every year in his hometown of Adams, Tennessee. He also complied and edited a book of his father Dr. Ben R. Alford’s writing, THE DANCE OF THE HOLY NOBODIES (Martin Methodist College Press). Though he has “worn many hats” through his career, he is best known for his acting work, both on stage and for the camera. For the past five seasons, he has appeared as Bucky Dawes on the TV drama NASHVILLE. He and his wife Kahle split their time between Nashville and New York City.